How To Use Drum Cap Seal Crimping Tool? You are here: Home / Blogs / Qiming Product Knowledge Base / How To Use Drum Cap Seal Crimping Tool? 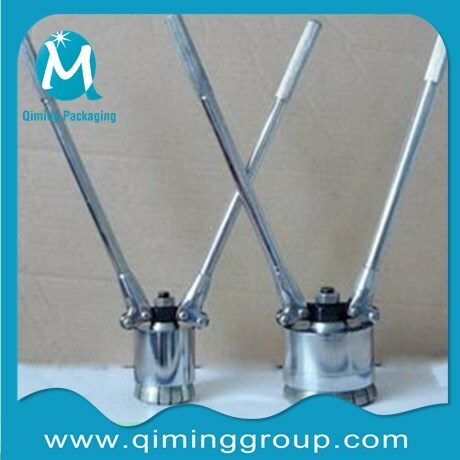 Drum Cap Seal Crimping Tool used to crimp the cap seals tin plate with 70mm and 35 mm diameter . Before learning how to use drum cap seal crimping tool? we’d better learn first about the drum cap sealer specification as following.Click + to see each explanation . 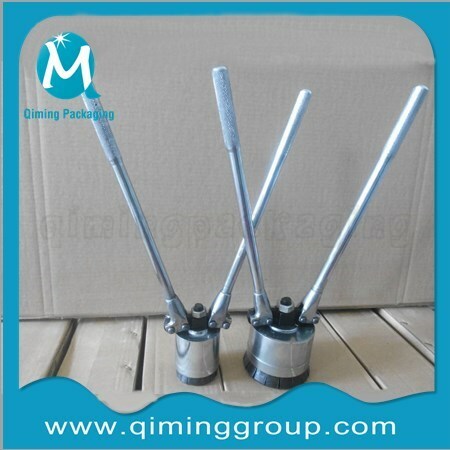 cap sealing tool,barrel crimping tool,manual crimping tool . Reasonable structure , Tight sealing , Easy operation, High performance. Net Weight 4.5 kg--6 kg as per different materials. Have an unrivaled security and perfect wrinkle-free sealing. and other liquid packaging industries. For >= 3 sets by sea/by air. Your other prefer methods can be negotiated. Standard Cartons, 3-5days as usual or as per your quantity . Above all, it is not hard to find that how to use drum cap seal crimping tool.There are three steps below . The operator has to place the tool on the cap-seal, please pay attention to the corresponding position , 70mm cap seals with Big cap sealer ,35mm cap seals with the Small caps sealer. Bring and adjust the handle down in the horizontal position. Ensure that the tool is horizontal.Perpendicicular to the center of the ap seal circle . To seal the cap-seal by using proper energy . Want t to know more about Drum Cap Seal Crimping Tool ,please click the picture as below . 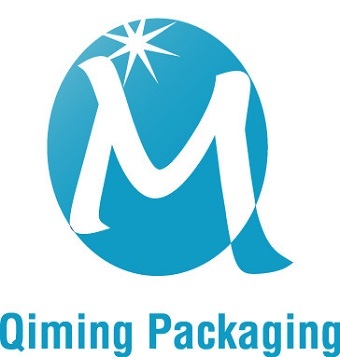 Or feel free to contact with us by email mail@qiminggroup.com .Please note it that all the tools are adjusted properly before delivery, you can use them Directly when you received.